When I received the call from Captain Givens at American Hero Adventures (AHA) letting me know I was selected for this year’s Javelina hunt I was truly grateful to be associated with such a GREAT organization. 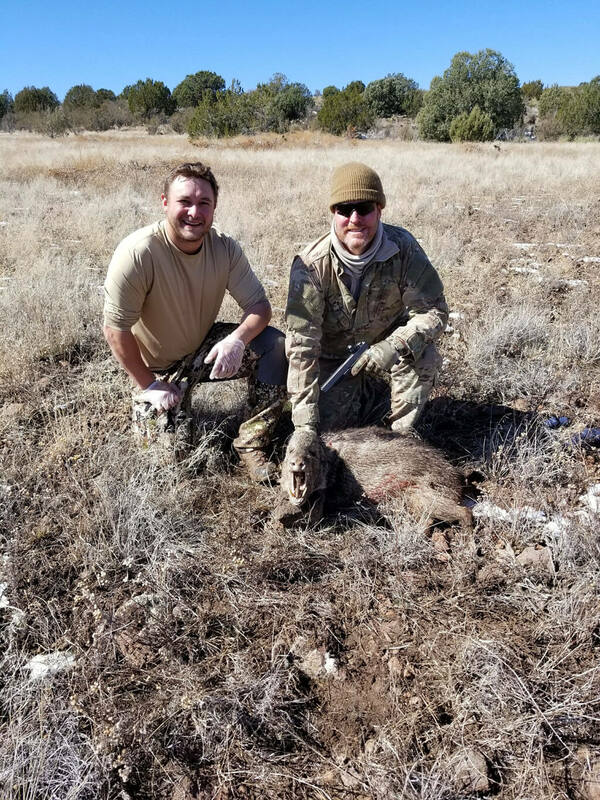 This was not my first Javelina hunt, but it was by far the best! The weather didn’t cooperate on opening day but all three of us tagged out the next morning. I would like to thank Big Chino Outfitters for the excellent accommodations, great food and for providing guides to help us on the hunt, Glock and Leopold for donating the pistols and optics that allowed us to accurately take down the Javelinas and Eric at Ruff’s Sporting Goods in Flagstaff for donating the ammo and FFL transfer fees that allowed us to keep the pistols. AHA is a Class Act when it comes to supporting and taking care of Veterans and understanding what they have been through no matter how long they were in the military or what disabilities they may have. From start to finish this was an Adventure of a Lifetime and one that I will never forget!